It's tough to keep a good tough guy down. The 2010-11 NHL season has been anything but kind to Matt Carkner and the Ottawa Senators. As a team, it's been a very difficult year, one that will see Ottawa miss out on the Eastern Conference playoffs for the second time in the past three campaigns. For Carkner, one of hockey's top enforcers, a strong individual start didn't quite pan out and recent arthroscopic surgery on his right knee means the Winchester, Ontario native will watch the rest of the year on the sidelines. Understandably, it would make sense that Carkner, in his second full season with the Senators, would be in a foul mood these days. And while he's anything but overjoyed at how things have gone for him and his teammates, Carkner has found a way to be optimistic as he recovers from his injury woes. “For as disappointing as its' been the whole year, I'm going to look at this as a chance to get healthy and be even stronger for next year,” Carkner told NHLPA.com from his home. “I've dealt with injuries before and I'll get through this. I'm at the stage now where it's transferring from the physical to discomfort to being a bit depressed about it all. Carkner, who played four seasons of junior hockey with the Peterborough Petes, earning the Ontario Hockey League (OHL)'s Eastern Conference Most Improved Player award for the 1998–99 season, was drafted by the Montreal Canadiens, 58th overall, in the 1999 NHL Entry Draft, but never played a game for the Habs. He signed a contract with the San Jose Sharks in 2001 and played five seasons with their AHL affiliate Cleveland Barons, posting career-high numbers in goals (10), assists (20) and points (30) in the 2005–06 season. That season, he also played one NHL game with the Sharks, recording an assist. In 2006, Carkner signed with the Pittsburgh Penguins, and played the entire season with their AHL affiliate, the Wilkes-Barre/Scranton Penguins. In 75 games with the club, he scored six goals and added 24 assists for 30 points, matching his career high for points. He spent just one season in the Penguins organization, signing in 2007 as a free agent with the Ottawa Senators. 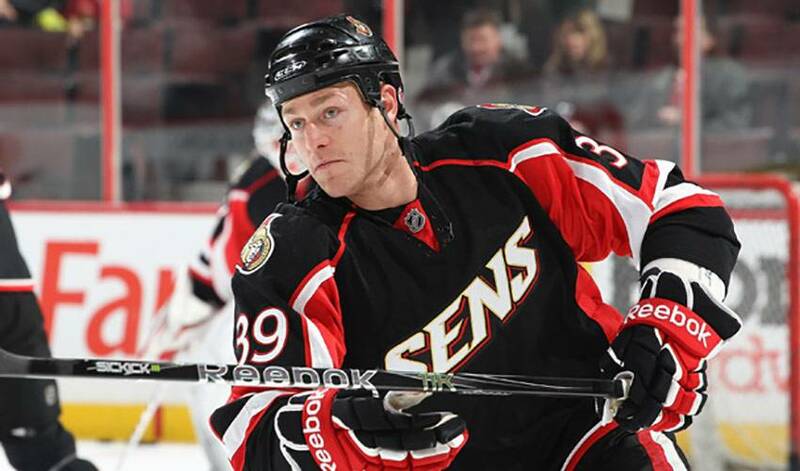 He played the full 2007–08 season with their AHL affiliate, the Binghamton Senators. Carkner received his first call to Ottawa in the 2008–09 season on January 7, 2009 and made his Senators debut one night later in a 6–4 loss against the Boston Bruins. His tenacity and toughness on the blueline earned him a roster spot with Ottawa in 2009-10. On October 8, 2009, in the Senators' home opener against the New York Islanders, Carkner scored his first career NHL goal. In April of the following year, Carkner scored the winning goal in the third overtime period of a playoff game between the Senators and the Pittsburgh Penguins. It ended the longest game in club history, a game in which the Senators would have been eliminated with a loss. And while times have been rough of late for both Carkner and his teammates, including several trades that saw key personnel leave town, one of hockey's top enforcers is happy to see Ottawa isn't going down without a fight. “When you lose the players we did, it's tough,” admitted Carkner. “But no one here is giving up. Of course it's disappointing not making the playoffs, but the young guys that have been called up have shown they can play." For Carkner, one of the most difficult things to deal with is not steeping up or stepping in for one of his teammates when the situation arises. One thing that has caught Carkner's attention, but in a good way, is the battle for playoff positioning in both conferences, including a tight race in the East. And knowing he'll come back stronger and more improved in 2011-12 is reason enough for Carkner to think positive thoughts.